For many families, nothing beats the joy of spending time together especially over their favorite fried chicken, Chickenjoy. 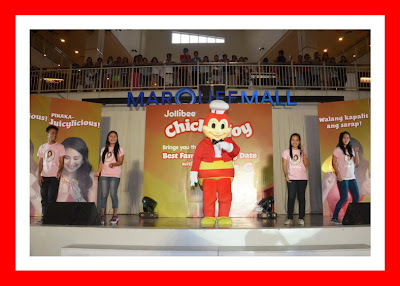 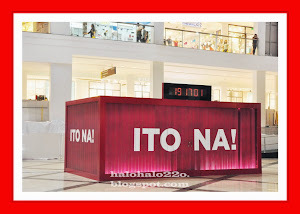 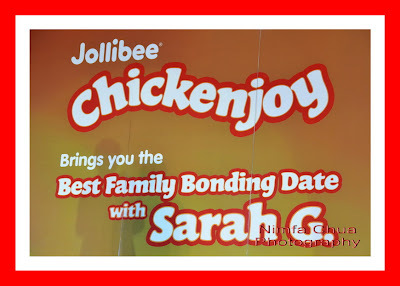 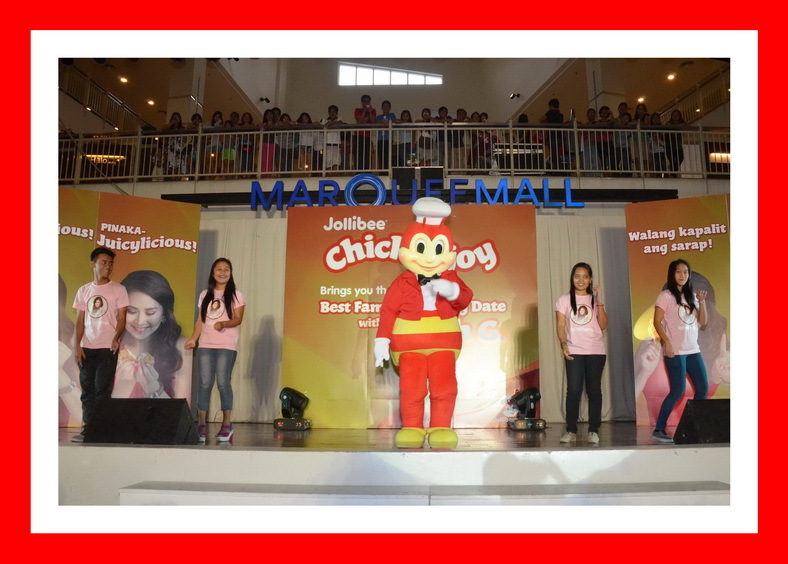 As a treat to customers who continue to make Chickenjoy their ultimate bonding meal with loved ones, Jollibee brought together families for a special date with their two all-time favorites during the “Best Family Bonding Date with Sarah G.” event at the Marquee Mall in Pampanga recently. 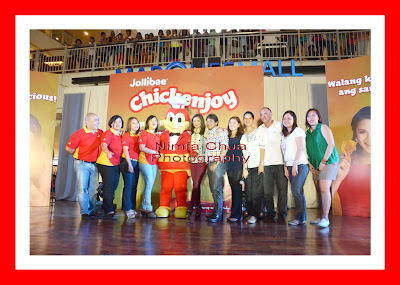 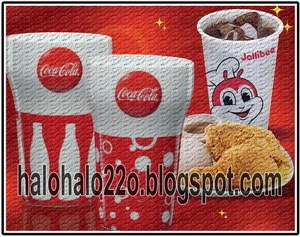 Aside from bonding over the crispylicious and juicylicious Chickenjoy, customers who purchased the 8-piece Chickenjoy bucket in participating Jollibee stores during the promo period got exclusive access to the Sunday afternoon family-themed event with none other than pop star princess and Jollibee Chickenjoy brand ambassador Sarah Geronimo. 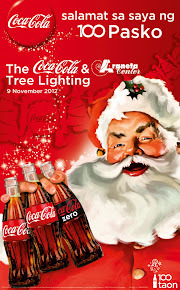 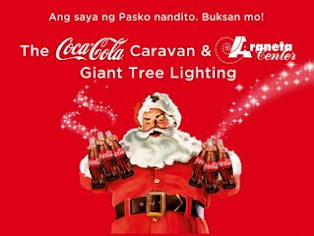 Every purchase entitled customers to five entrance tickets for them and their families. 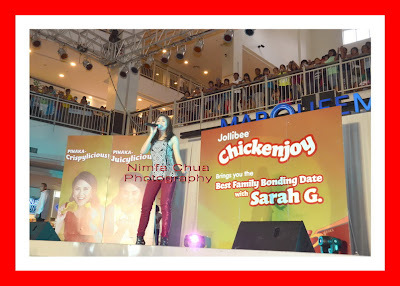 Sarah entertained them with amazing and heartwarming performances, including a special song number with her father Delfin. 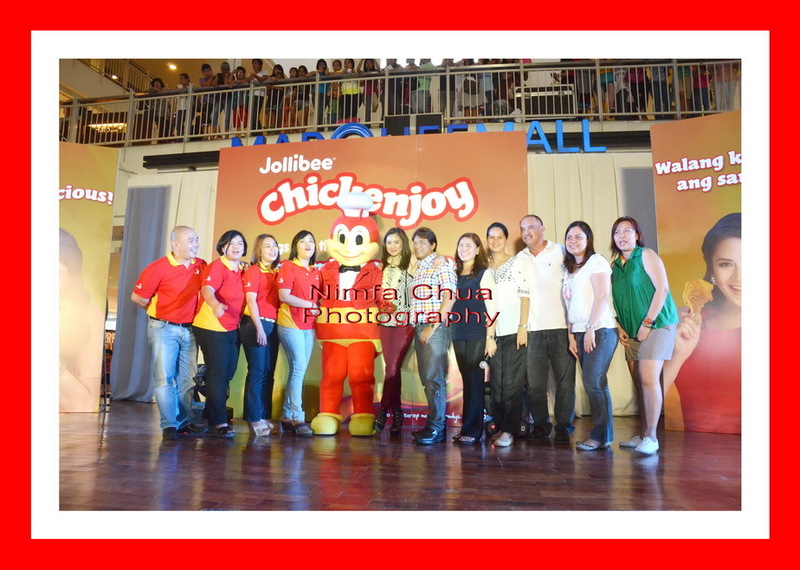 The event also featured fun family-themed games and activities, and 5 lucky families were given a chance to have their autographs and photos taken with their idol.